The father of Czech music, Bedřich Smetana, sits down on a chair facing the audience. While people who influenced his life – relatives, friends and acquaintances – gather upstage to form an orchestra, conducted by Adolf Čech, as if illustrating Shakespeare’s “All the world’s a stage, And all the men and women merely players.” “Deaf Empire: Replaying Bedřich Smetana” starts and ends with the premiere performance of “Má Vlast” (My Homeland), an orchestral portrayal of the landscapes and legends of Bohemia, emphasising the musical poems’ significance for the composer and the whole nation. 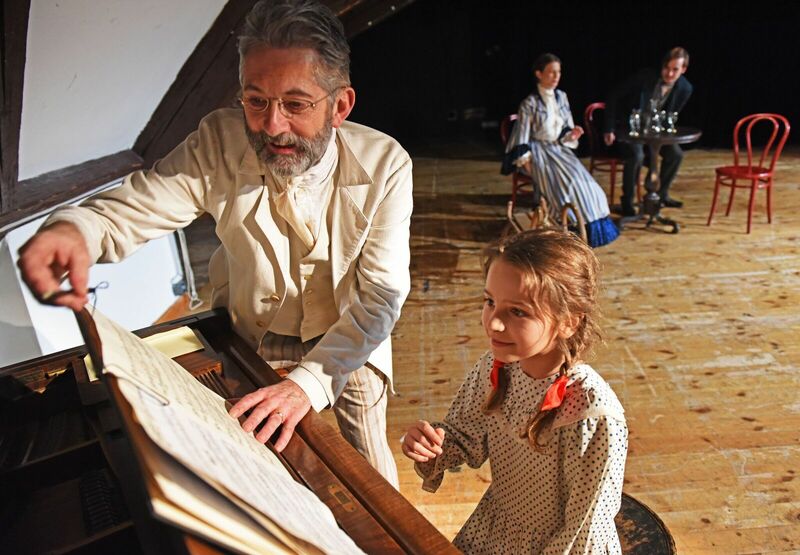 The play written by Prague-based American writer Stephan Delbos, covering several decades of Smetana’s life, premiered at the Prague Shakespeare Company’s Divadlo Kolowrat on March 3. 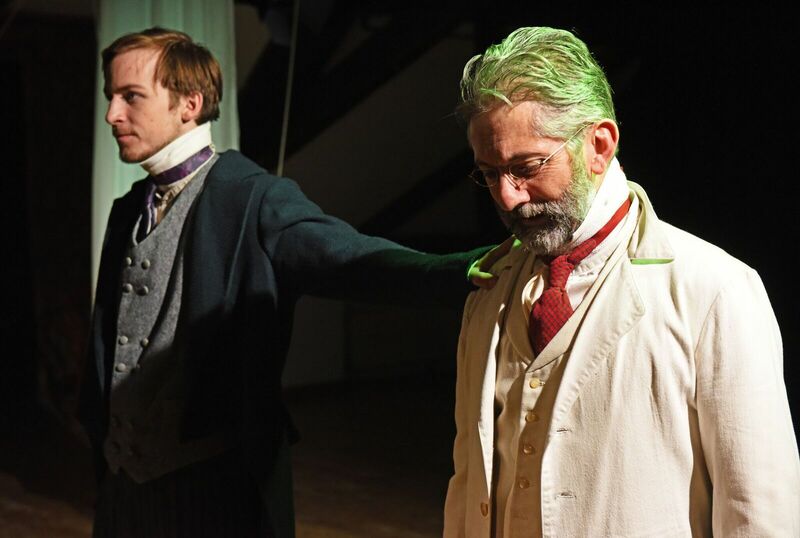 Carefully structured stage movements, well balanced dialogues and distinguished cast make “Deaf Empire,” directed by PSC’s regular Amy Huck, one of the company’s best productions. 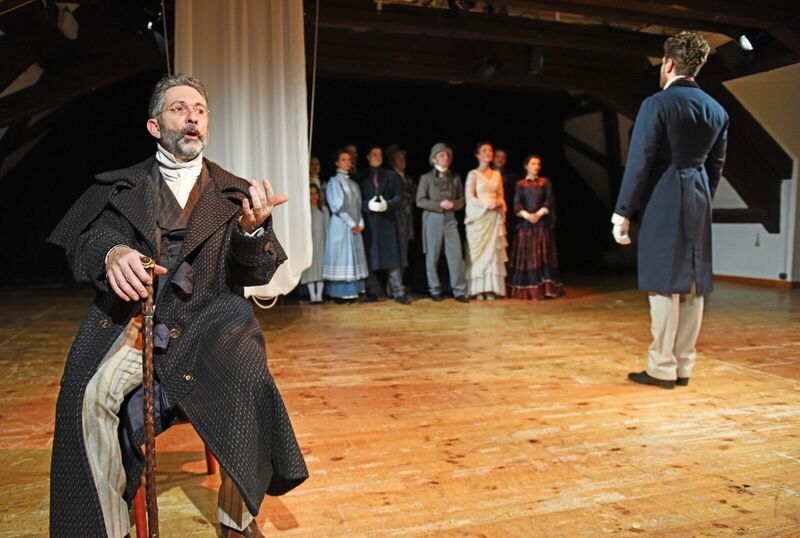 Set in the second half of the 19th century, the play depicts the atmosphere of the time, when the country was freeing itself from the Germanisation under the Czech National Revival. Smetana insisted on the validity of Czech melodies and themes in classical music and opera, despite going through his own life tragedies: the death of his wife and children, and his complete loss of hearing which nearly destroyed his career. The play stars acclaimed British actor Gregory Gudgeon (The Lion King, Shakespeare’s Globe ensemble) as the fervent Smetana, with William Valerián (Úplné Zatmění, Klicperovo Divadlo) as his friend, the revivalist poet Jan Neruda. 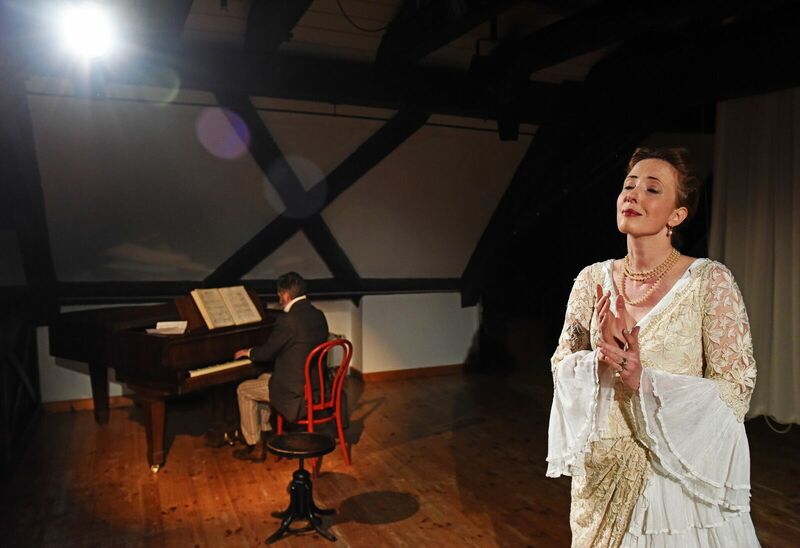 Both delivered an outstanding performance, establishing a complicated relationship and masterfully conversing in three languages: Czech, German and English. 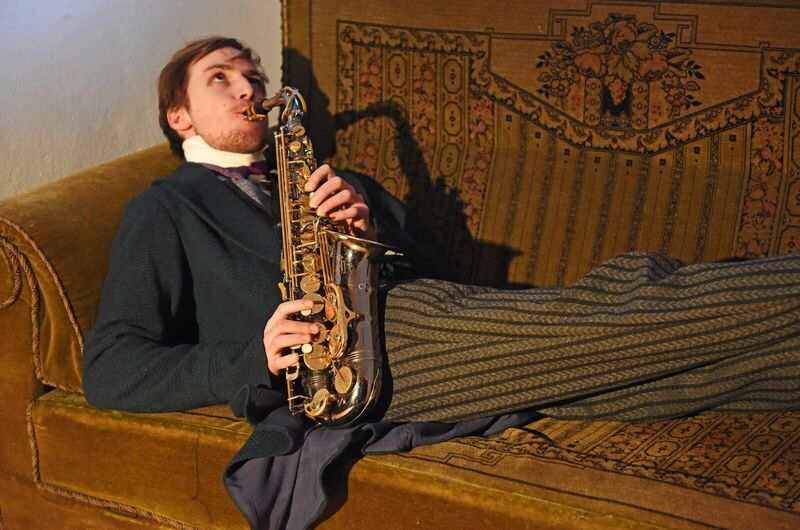 “Deaf Empire” showed what a production about a musician’s life should be: pre-recorded music was rarely used. Instead, the audience heard Smetana playing the piano, Neruda jamming with a saxophone and an opera diva Marie Procházková singing a piece from “The Bartered Bride.” Even little Linda Boubínová, starring as Smetana’s daughter, brilliantly played a few piano melodies, reminding the audience about the composer’s relevance to today’s world. Two final shows are being performed on March 9 and 10. Tickets are available online on the PSC website.